Springfield, MO (RestaurantNews.com) The Buffalo Chicken Dip is poppin’, the beers are pouring, and the patio is primed for summer fun! 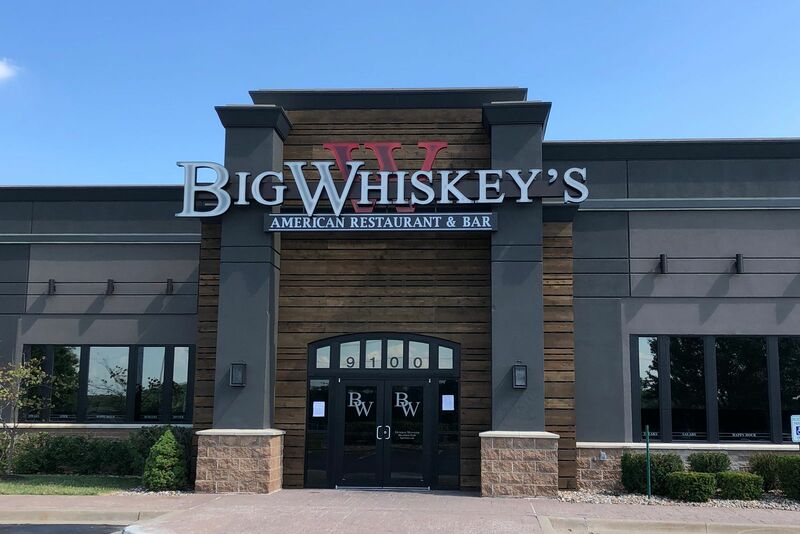 Friday, July 20th, Big Whiskey’s American Restaurant & Bar will celebrate the grand opening of their newest KC-area location at 9100 W. 135th Street in Overland Park, KS, and give away 100 gift certificate booklets to commemorate the occasion! Big Whiskey’s purchased the property in Overland Park in November 2017 and construction officially began in March of this year. Partnering with area contractor, A.R.C. General Contracting, of Shawnee, Kansas, the project is the second stand-alone location for Big Whiskey’s, and their largest investment to date. Their first detached store opened in August 2017 in Republic, MO, in a former Ruby Tuesday’s building. Adding just over 100 jobs to the community, the staff has been training during soft-opening since June 26. Being part of the community and embracing the KC culture has been a priority for the brand since construction began. Boasting a line-up of 20 beers on tap, many Kansas City and regional breweries are featured in the restaurant including Boulevard Brewing, Martin City Brewing, KC Bier, Torn Label, and Freestate Brewing. Big Whiskey’s will be open seven days a week, Monday-Saturday from 11:00 am to 1:30 am, and on Sunday from 11:00 am to midnight. The menu includes a variety of steaks, pastas, craft burgers, salads, wings, tacos, and more, including a kids menu and a large selection of appetizers. Joining the Big Whiskey’s crew, the Overland Park Chamber of Commerce will cut the ribbon, officially opening the new location on Friday, July 20th at 10:30 am. The first 100 guests in line when the doors open on Friday will receive the certificate booklets. Each one includes a $25 gift certificate for every month, August 2018 – July 2019. Big Whiskey’s will be open normal business hours following the ribbon-cutting ceremony.